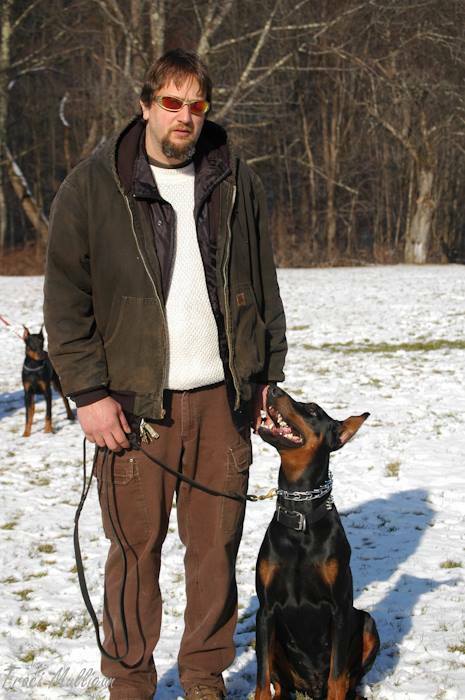 Peter has been a Doberman owner for 20+ years and has been a member of a variety of breed and dog sport clubs. 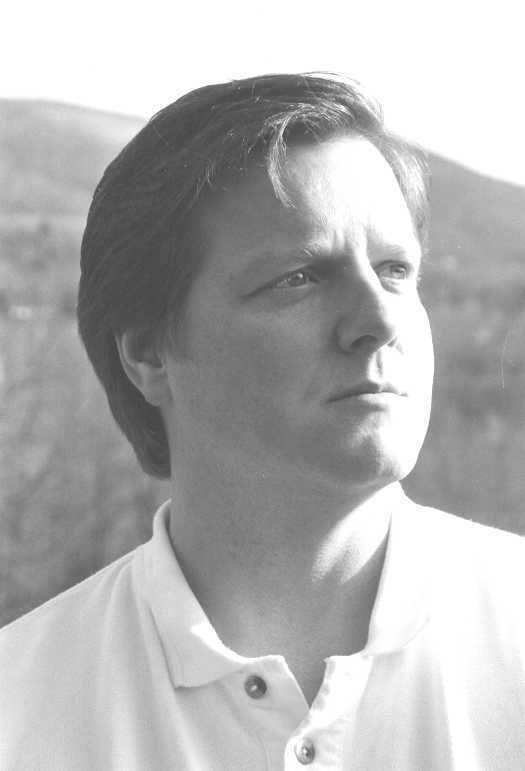 He is a lover of technology and is the club's webmaster. 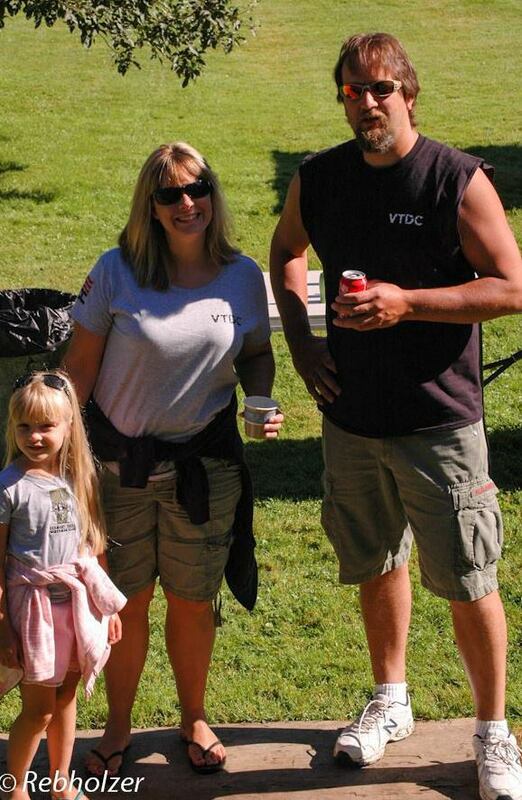 Peter is married to Darlene Pavlovich, the club treasurer. 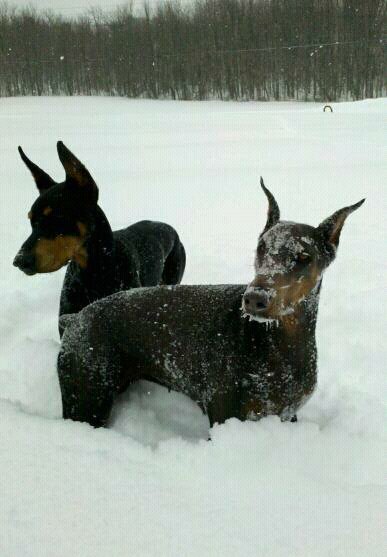 Andrea grew up with Dobermans as a small child, but didn’t have the pleasure of having her own until 2009. Up until then, Andrea had several German Shepherds. 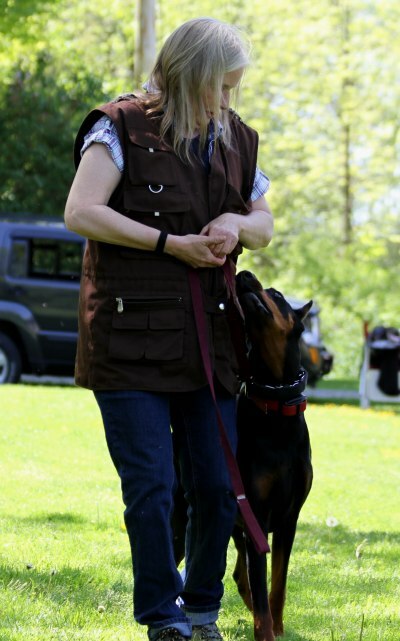 In 1995, at the age of 10, Andrea trained her first agility dog with only the equipment her dad built in their back yard, and the info in a pamphlet from the AKC. 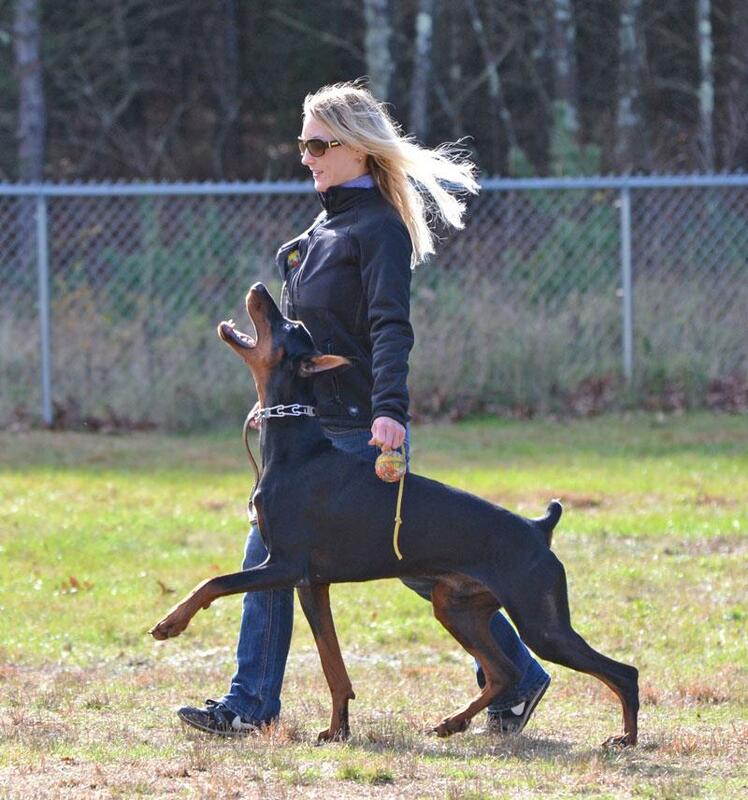 Today, Andrea is excited to be competing with her Doberman, Rebholzer Black Sabbath, BH YTT aka “Søren.” Andrea is training Soren in IPO and various AKC sports. 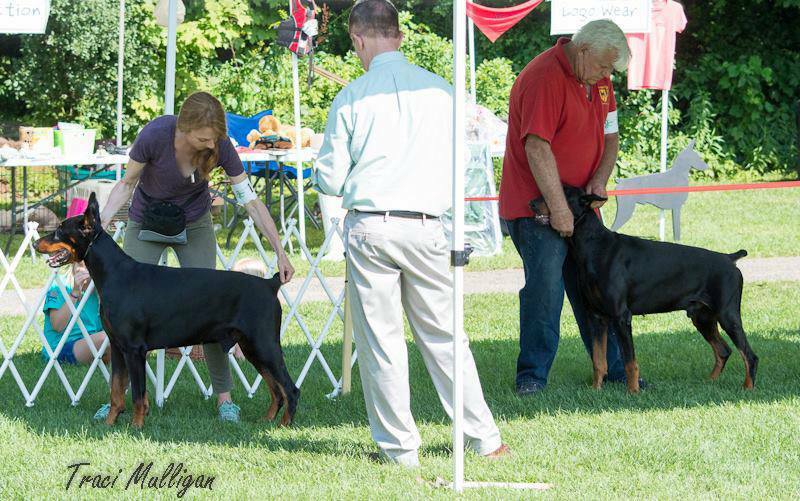 Currently I have two Dobermans, Rebholzer Spirit Rain CD BN RAE CGC (aka Miley) & UDC Ch Rebholzer Bad Company CD BN RAE IPO3 BSA-E1a WAC CGC ATT VCX (aka Beckham). Miley is "retired" from the show ring to allow her "brother" to move in to that role and he's doing a fantastic job! In 2015 Beckham earned his IPO 1, 2, & 3 titles! My journey begins in Febuary 1950. 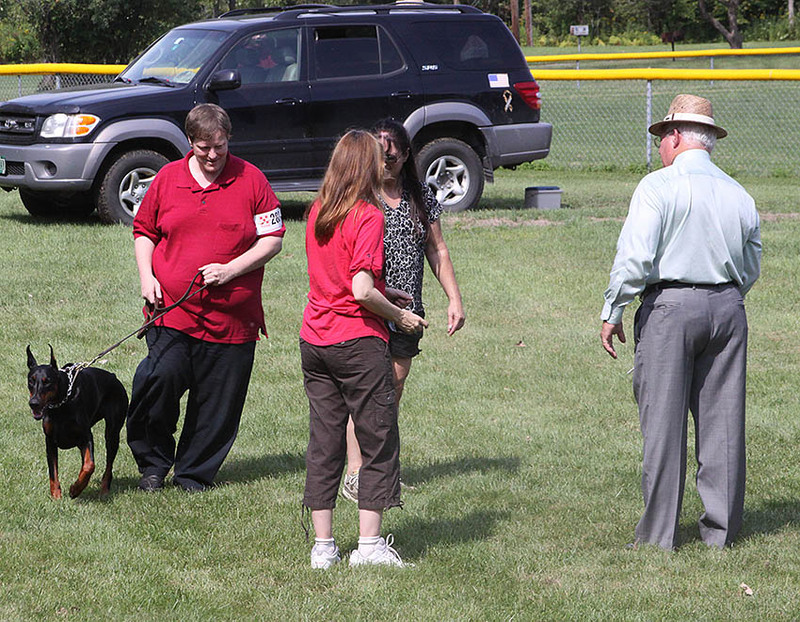 My aunt took me to my first dog show. 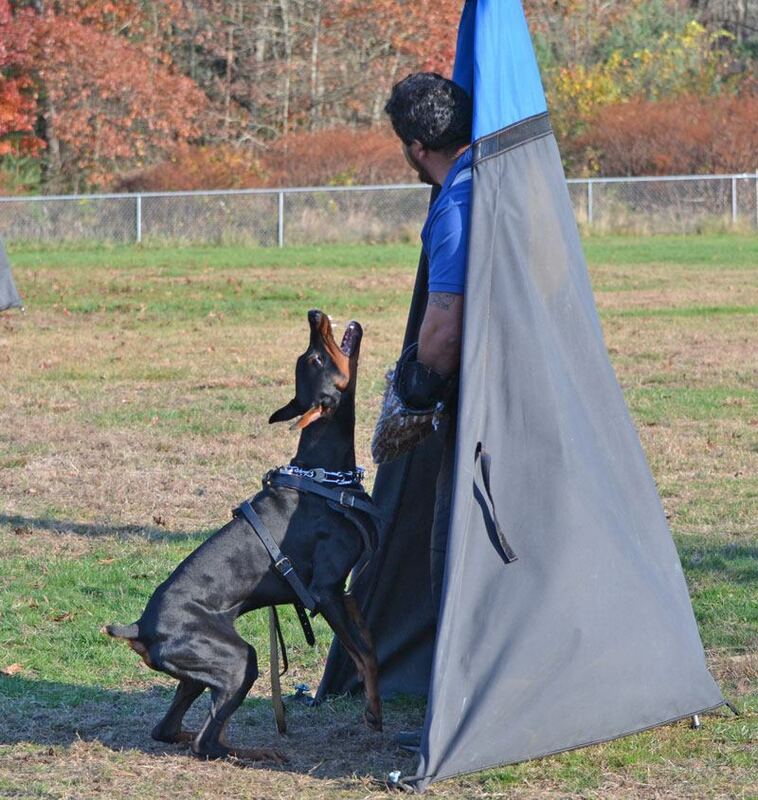 That's when I saw my first Doberman. I was smitten! I wanted one right then and there, but mom said NO! I got my first Dobie in 1958, his name was Smiley and mom fell in love with him. Since then I've always had one (or 2 or sometimes 3) by my side. 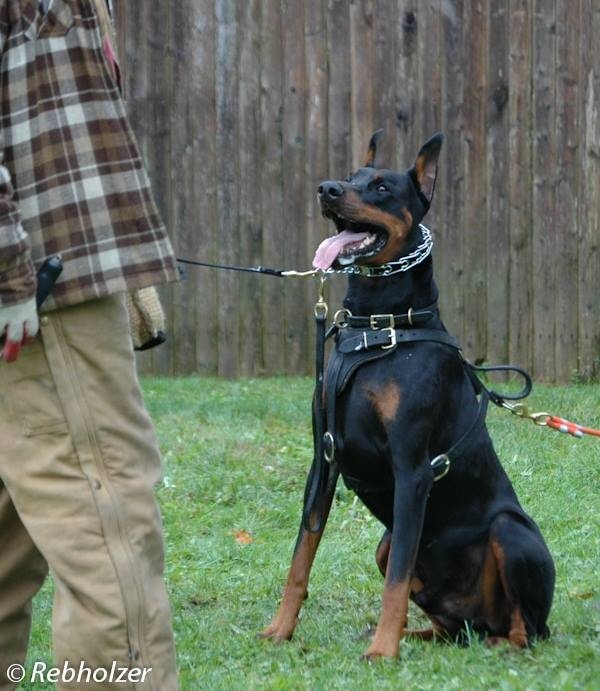 I currently reside with 2 Dobies and we work in Conformation and Schutzhund. 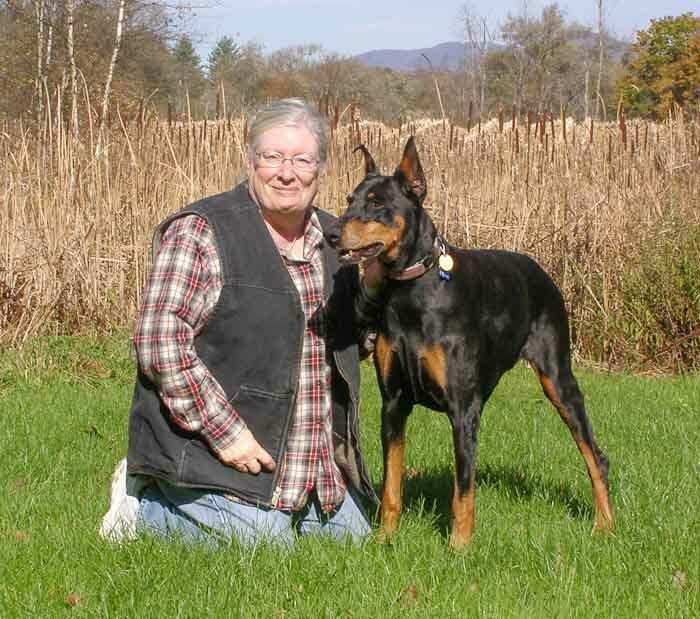 I got my first Doberman in 1995 and have trained and trialed in Schutzhund to obtain a VPG 1 on my male Doberman - Donovan #2 that I imported from Latvia. 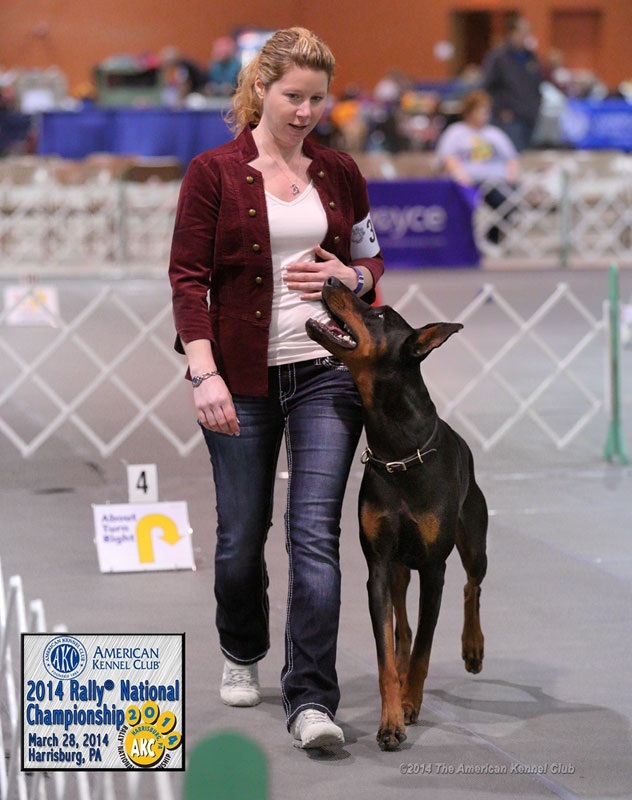 I have also handled several of my Dobes in the breed ring. I now live with Donovan #3 who is a UDC Champion and has his BH. 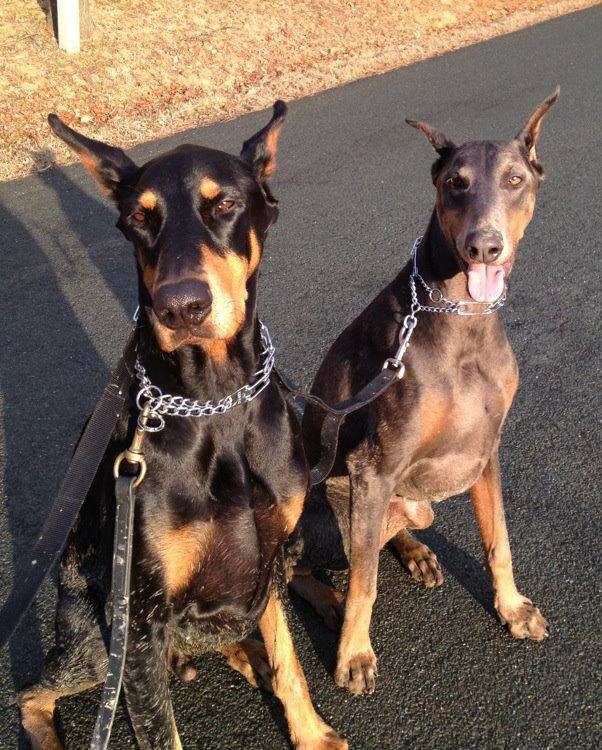 I am a wildlife artist but my passion for the breed has inspired me to draw, paint and sculpt Dobermans as well. 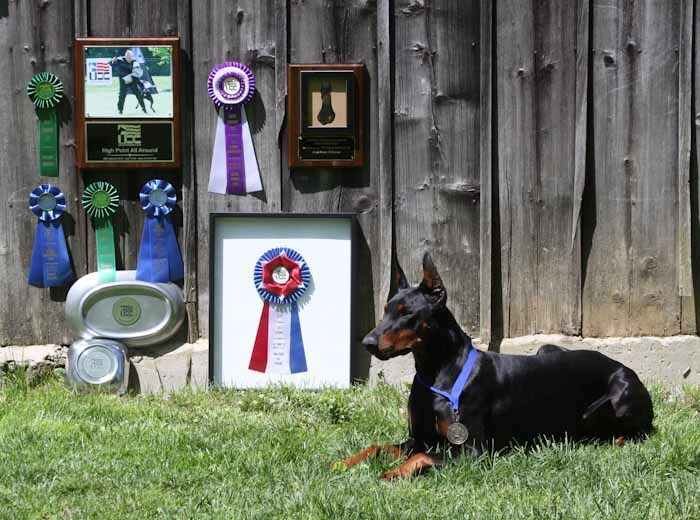 You can see some of my Doberman art on my website, Pupshine Gallery. My wildlife art can be viewed on my Wild Souls Gallery website. It started in 1970 with my search for a dog without a coffee-table-clearing tail as I'd seen too much of that. This lead me to the Old English Sheepdog .....and all the grooming! 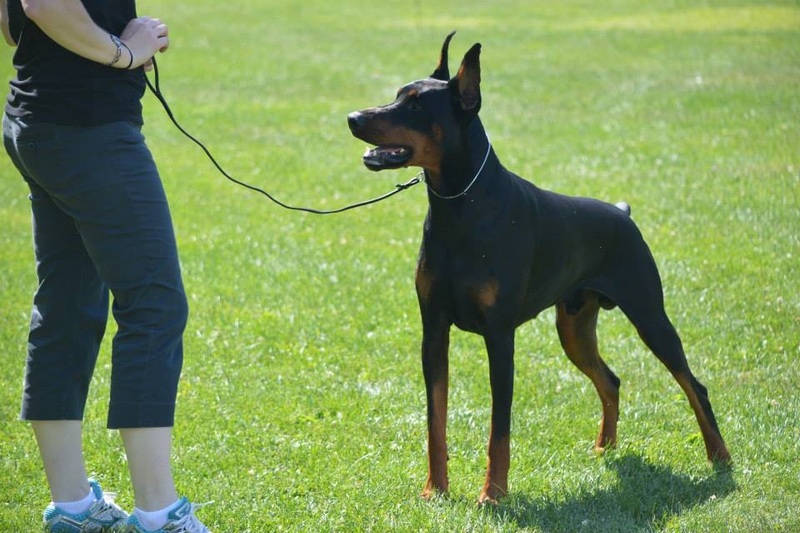 Next time around was after falling in love with the Doberman breed to my first, Tanya. We were joined at the hip from 1972 until I lost her in 1986 and it tore my heart out. 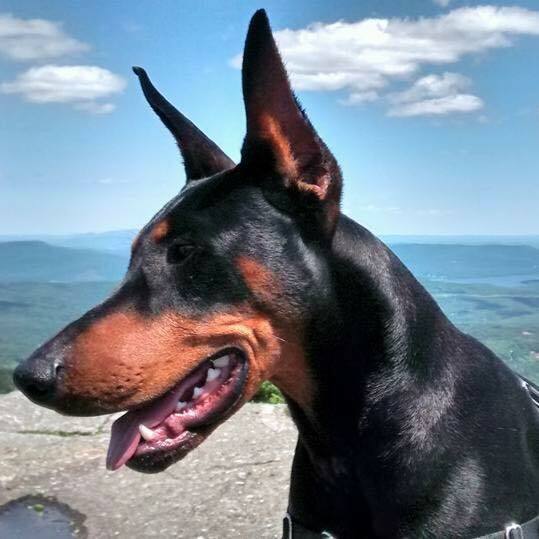 So much so that I couldn't bear the thought of going through it again and so my next Doberman wasn't until 2006, after 2 years of consideration,when Keysan came into my life. I had been seriously looking and decided I wanted a dog from "working" lines and this lead me to finding a reputable breeder in NY with a new litter on the ground. I had NO idea of the ride I was in for. I had thought I understood about High Energy but discovered it was SO Much more. I called her my little dragon in a dog suit. I laughed, cried , screamed and loved while learning how to work with this extreme girl. I was tearing my hair out trying to figure her out as now I was older and hadn't even lived with dogs for YEARS. 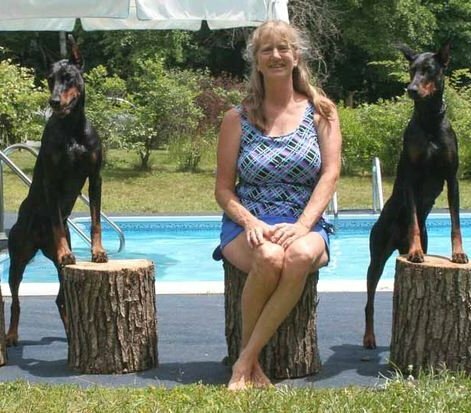 That's when I found The Vermont Total Doberman Club. It was a godsend to find people who knew how to help me understand how to work with my girl properly. I started enjoying it so much so that in 2009 I imported my girl, Journey, from the Ukraine! Doozie's son, Grits. My up and coming *MOON*star. 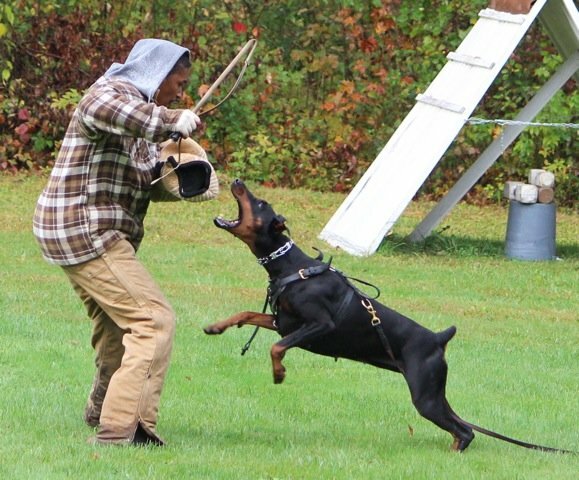 Having started in AKC breed and obedience I then discovered schutzhund. 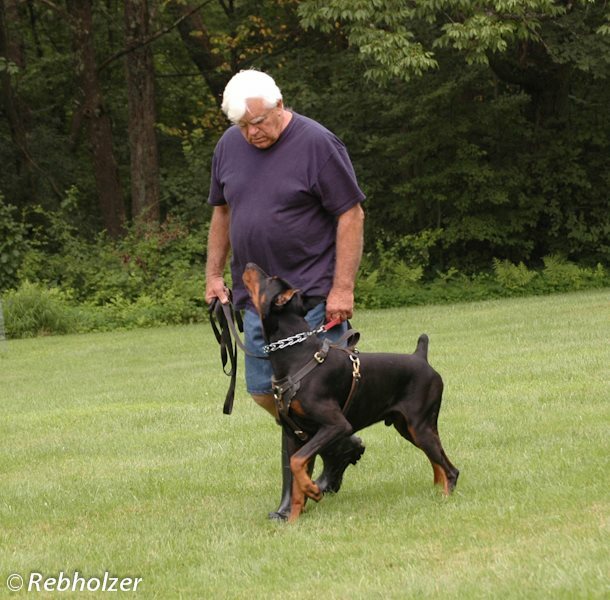 Over the course of years since my first Doberman in 1973 it has evolved to doing any and all activities that involve training and having fun with my dogs! 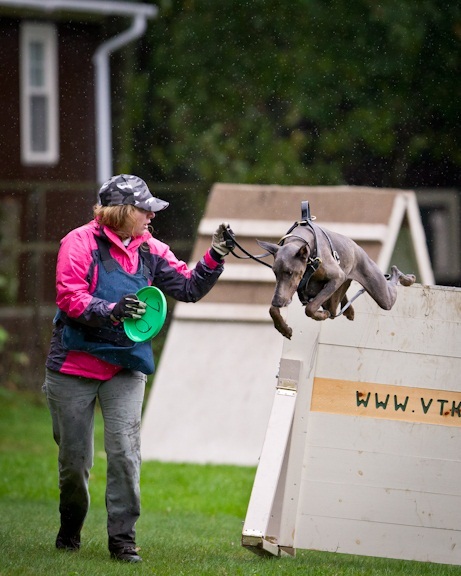 Current training activities are IPO and dock diving and we've dabbled in some lure coursing and Barn Hunt, too. Oh, and Caper had a hobby all her own ~ Downhill sledding! 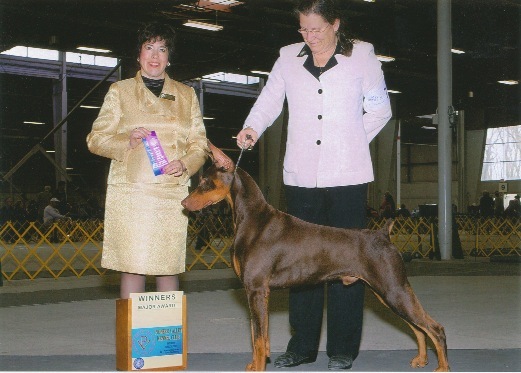 I am also an occasional breeder under the kennel name of Rebholzer with breedings always done with a focus on 'the total Doberman' in temperament, structure and health testing. Caper took a huge piece of my heart with her when she left but she left some of hers to help fill the void ~ her grandson, Rebholzer Moon Stalker, aka: Grits.